And soon, she’ll have to face the truth of what she's done—a shocking revelation that may push her one step too far. . . .
Tina Seskis grew up in Hampshire, England, and after graduating from the University of Bath spent more than twenty years working in marketing and advertising. 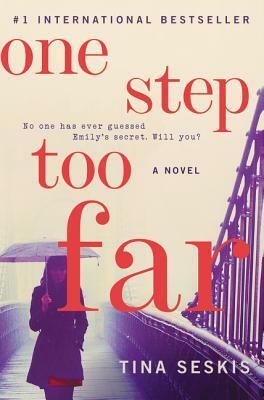 One Step Too Far is her debut novel, and was first published independently in the UK, where it shot to the #1 spot on the bestseller list. Her second novel is forthcoming. She lives in North London with her husband and son.